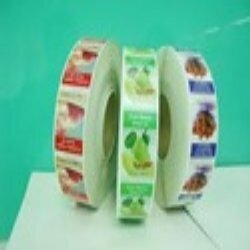 We have gained expertise in manufacturing and supplying supreme quality Glossine Foil. Made from superior quality raw material which is highly resistive to shock and abrasion, these are reckoned in the market for their high strength and excellent ability to wrap different items. Offered range is available in a vast variety of specifications such as grade, thickness and splices at suitable prices. These foils are stringently tested for their adherence to international standards of quality. Looking for Glossine Foil ?